Looking for a garage to fix your Clutch Replacement in the East Midlands? Save money: Instantly compare Clutch Replacement prices to find the best deal in the East Midlands. Save time: You can find and book the best Clutch Replacement deal in the East Midlands quickly and easily with our online booking tool. No upfront registration required! You can compare garage prices, reviews, distance and much more all in one place. Quick and easy: Simply enter your car registration number and your post code, compare prices, choose a garage which is local to you in the East Midlands and book your Clutch Replacement. Speak to an expert mechanic: If you need to speak to a mechanic about your Clutch Replacement, call one of our experts today on 03304 004439. "Great customer service, took over 5 hours and if possible would like to be of a rough time of finish, all in all very good"
"Very happy with the service and will use again"
"Everything was spot on, collected car, informed of repairs/advisories and not pushy, car dropped off. Couldn't ask for more!" "I was happy with the service except they couldn’t find my locking wheel nut to take the wheels off but it was in the glove compartment"
"Kept me informed start to finish"
"Staff very friendly and the work was done quickly"
"Fantastic garage, wonderful service. Lovely polite office staff, car collected and returned . Truly professional staff . Thank you"
"Very much happy everything was perfect." 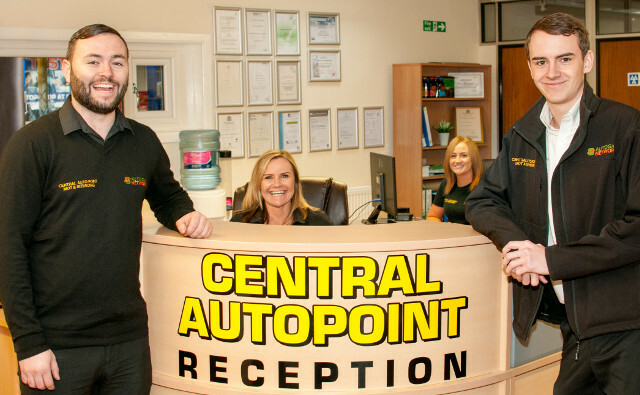 "Extremely friendly staff. Quick and communicative. Fantastic. Will be using in future"
How Does a Car's Clutch Work? The clutch is perhaps the most important part of a car’s transmission system. It comprises two metal plates which are responsible for maintaining a connection between the engine and the gearbox. When the driver depresses the clutch pedal the plates come apart, separating the engine from the drive wheels, allowing you to change gear. Bringing the pedal back up re-engages the plates which in turn connect the engine to the drive wheels. Excessive noise and vibration from the clutch area can be caused by a bad release bearing or pilot bearing. If this is the case in your car, the garage will take apart the clutch assembly in order to replace the bearings. If the clutch is grabbing and shuddering as it’s engaged, the garage may need to take a look at the flywheel as well. Many modern vehicles are fitted with a dual mass flywheel; a rotating mechanical device which can break down. There’s no easy way for garages to check for this without disassembling the clutch and inspecting the pressure plate and flywheel. If the clutch pedal is giving little or no resistance, the problem could be a seal leak in the master or slave cylinder. From Lincoln’s winding streets and glorious medieval cathedral, to legendary Sherwood Forest and the natural drama of the Peaks, the East Midlands is a varied region. 88% of the land is rural, though the major cities of Nottingham, Leicester and Derby mean that the population stands at around 4.5 million. The geographical centre of England lies in Higham on the Hill in west Leicestershire, close to the boundary between the East and West Midlands.